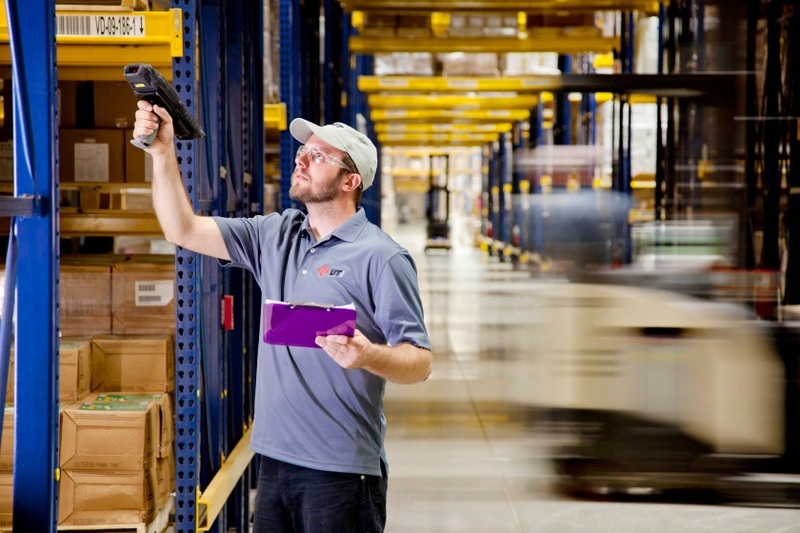 We’ve all been there—there’s too many items in your current warehouse, nothing is being tracked right, and it’s just too darn hard to find anything. A quick solution to a lot of these issues is barcoding—the art of placing barcodes at every item location throughout the warehouse in order to better track current inventory standings as well as figure out where everything is. Barcode scanning used to require a lot of bulky proprietary equipment like handheld scanners and computers to track them all, but now you can actually get a lot of the mobile equipment you already have to serve this purpose. Mobile apps exist to help the devices your warehouse already uses (iPads, iPhones, etc) complete barcode counts, and software for completing these can be easily found on tablets and laptops that you probably have currently. This can help cut down on initial cost and setup time. Above and beyond having a way to actually scan them, one of the most important parts of barcoding is the labels themselves. Before coming to your management with a barcoding plan, try to understand how the labels will be used and where they’ll be placed—will they be stored on the products themselves where they will be exposed to the elements (but potentially be in a better place to be seen by the scanners)? Or will you try to modify your current metal shelves, wire shelves, and pallet racks to keep the barcodes on the shelves themselves? Figure these out before you try to implement a plan and you just might be able to save yourself some time. A big benefit of barcoding is the idea that it can cut down drastically on time spent managing inventory and checking levels on needed items. Take some time to plan out how exactly these scans would be used, and get a plan together for the steps in the process they can help with. Will your barcode scans be used to trigger automatic product reorders if certain items get below certain thresholds? Will they be used for greater visibility of item availability to prevent misorders or incorrect shipments? Will they be used to check order accuracy before the products are put away after receiving? Identify exactly which processes barcode scans can help with before trying to make your case – by providing numbers and results you can make much bigger inroads with your proposal than you would otherwise. Finally, barcoding can have a bigger impact on the overall traffic of your warehouse than you may expect at first, but this can be mitigated with some careful planning. Identify any area that your barcode placement may cause a traffic jam: will items be too high to scan without a forklift or ladder? Are the barcodes going to be accessible from a distance with your scanners or will inventory counts cause extra foot traffic down certain aisleways during counts? Provide a map of your proposed traffic and changes and see what effect it will have on the warehouse overall. Did your warehouse recently implement a barcoding solution? Tell us how the changeover went in a comment below.